If you told me last week that the whole world and his dog would be talking about a 79 year old woman being thrown around a stage I'd have said you were crazy. But that was before I saw the amazing Paddy a woman who is an inspiration to so many and has made me cry with joy. Paddy and dance instructor Nico were the final act on tonight's Britain's Got Talent and really raised eyebrows with the nature of the relationship. 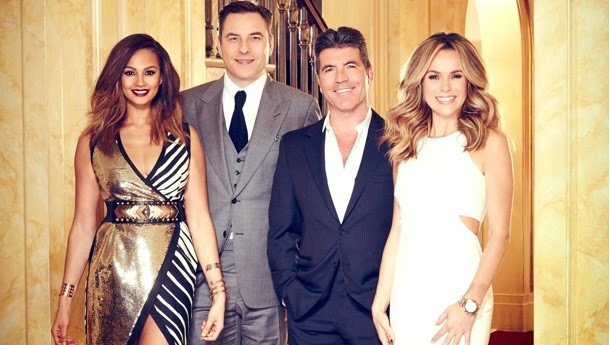 Judge David Walliams likened their look to a Little Britain sketch and their slow-paced opening got Simon pressing his buzzer. However then things got a little bit amazing and Nico upped the tempo with Paddy demonstrating just how limber she was. I feel that you'd have to have a heart of stone not to warm to Paddy's story about her taking up dance following her husband's death and how her children encouraged her to follow her passion. Paddy and Nico's talent was later rewarded with Amanda Holden pressing her Golden Buzzer meaning that the brilliantly uplifting duo made it straight through to the live semi-finals. Part of the reason that Paddy and Nico's routine was so amazing was that it was just a bit of a surprise when the craziness began to happen. Britain's Got Talent has often relied on shock value in presenting an act and another example of this was through boyband Collabro. My eyebrows started to raise when they told the judges they'd only been together a month and their claim that they had natural chemistry triggered more cynicism. However, as they began to sing, we learnt that they were in fact an operatic quintet who could really harmonise quite well. Although I don't think they quite deserved a standing ovation, as there were a fair few dodgy notes, Collabro definitely were better than I expected. Collabro did so well that they got Amanda crying, but then that's probably just some of that dodgy facial surgery wearing off. 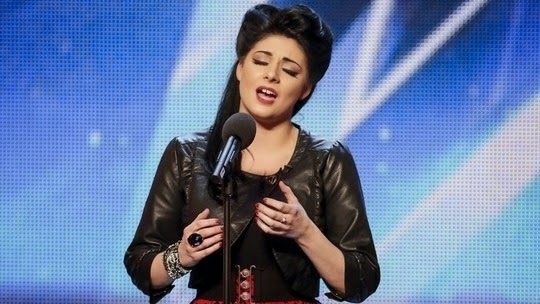 Tonight's other singing act was 24-year-old Lucy who was the proud owner of the best sob story of the evening. Lucy's operatic voice was incredibly powerful but I feel the story of finding confidence through music and overcoming bullies is rather tired by this point. In fact I think the story overshadowed the act which is a shame as Lucy's a talented girl at heart and it just shows how sometimes the sob story can have a negative effect on an act. Although singing and dancing is all well and good, Britain's Got Talent is essentially a variety show and that's what we got with Light Balance. 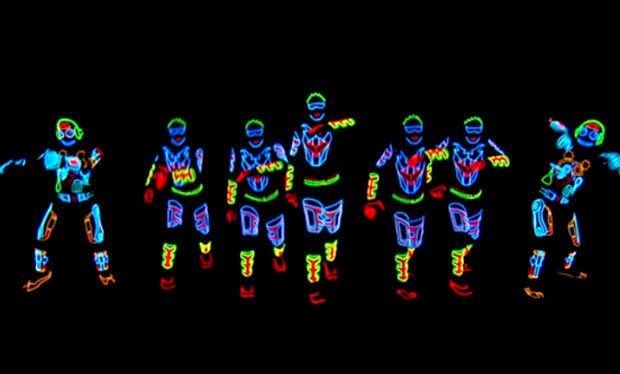 The group, headed up by a Ukrainian fellow, were basically Daft Punk doing Diversity-style routines behind a blacklight. Obviously there are tons of comparisons to be made between Light Balance and last year's winners Attraction namely that both are Eastern European and work with the lights off. I did think Light Balance were incredibly unique and they also allowed us for us to have a look at Simon's extremely white teeth in all their glimmering glory. At the same time I thought it was in rather poor taste to use the current situation in Ukraine to promote a talent show act. Other successful acts tonight included an incredibly energetic country dance troupe and a couple of street dance youths who presented a very contemporary Men in Black style routine. But Britain's Got Talent isn't all about the successful acts as we saw with tonight's opening contestant, Rocky the Owl. BGT has produced some memorable animal acts over the years but Rocky the reluctant performing owl wasn't one of them. Unfortunately Rocky the Owl really didn't seem to want to be there and didn't play ball when his owner attempted to get him to manoeuvre around various obstacles. Then there was the drummer who got stuck in his wheel, the German man who penned the most intimidating love song ever and whatever that was with the skating American woman singing Lady Gaga. However the most ingenious act of the evening had to be the man who was trying to break the world record for eating a raw onion. Upon not breaking the record he received a quartet or buzzers but I wondered how he would've adapted the act had he got through to the semi-final. But, instead of perfecting his onion-eating routine, I feel he went home and sucked on a few sour grapes instead. 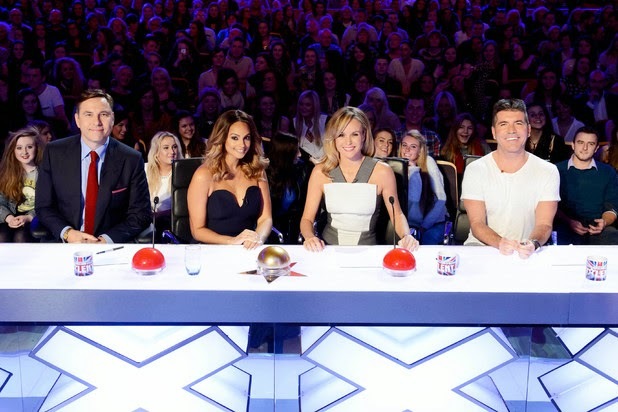 Overall Britain's Got Talent continues to be the master of the talent show thanks to a wonderful group of judges and an amazing cavalcade of acts. The programme made me laugh out loud on a number of occasions and also provided the same balance of both talented and utterly hopeless acts. I'm just hoping that the programme hasn't given us everything all at once and that the level of talent remains high over the course of the series.